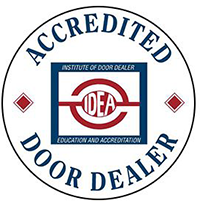 Perry’s Overhead Doors LLC is a family-owned and operated garage door company, specializing in residential, industrial, and commercial doors and operators. We’re committed to the highest quality products and above and beyond customer service. Whether your door needs a repair or it's time for a new door, we’re here to make the process easy. Have a broken spring or need your garage door serviced? Give us a call today.